Vouchers will be available soon. We have been working on getting companies to offer discounts to club members and a special discount card will also be available soon. Will be emailed out and available on the website within the next 3-4 weeks. Will our 2019 free night vouchers be sent out soon? I like to get booked so I have something to look forward to! Stayed at Broad Park Bideford last week Pete & Debbie was brilliant, it was raining when we arrived but when it eased Pete offered to help with the tent. The site is lovely and we will go back again. Any events going on during first week of July? I wanted to go to Cheddar but been let down by friends . Looking to meet up make new friends soon. New site: Cherry Cottage, Camelford, Cornwall. Open all year with 2 hard standing pitches and electric. Excellent toilet and shower facilities. Wild Camping Winner Vicki Collins Member ID 7102. Congratulations!! New prize of a weekend wild camping now available, find us on facebook, google or twitter to share the post and be in with a chance of winning. Congratulations to Christine Mannings, the winner of our glamping weekend prize draw. Looking forward to getting back to the outdoors...its been far too long. Just joined... 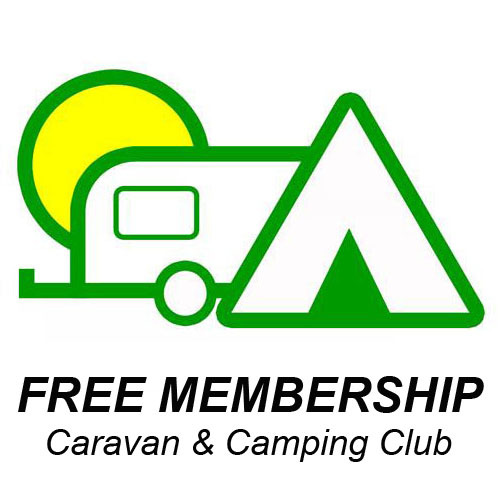 Happy camper looking forward to many more camping trips to come now we have somewhere to find sites easily speedily and for FREE membership too!!!! Congratulations to Andrew Spencer, Hull - James Andrews, Pontefract - Michelle Harris, Favesham - Lorraine Scandrett, Birmingham - Terri Warwick, Gainsborough. Winners of May prize draw. Prizes on there way. Congratulations to Richard Hewson, in Scunthorpe, winner of our April prize draw. A self inflating camping mattress is on its way to you. March prize winner is Mark Bailey from Rochester. Have a brew on us. Winner of February Prize Draw of a Family pack of 4 Duracell torches: Mrs Steffan Squire. Congratulations!!. Share and join the club today and you could win the March Prize draw of a 12V camping and travel kettle.